I want to start by thanking everyone for your support by electing me as your town clerk. It really means a lot to me. Also, a special thanks to all of you who stepped up and helped with the elections as ballot clerks, ballot counters, polling place set-up and take down and to those who helped set up the chairs for the town meeting. You are invaluable. We can’t do it without you. The office will be closed on April 3 so Stephanie and I can attend a tax training session. Dog licenses are due by April 30. After that date there will be a late charge. 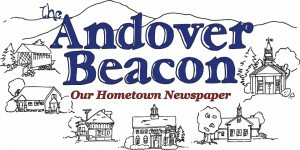 The Andover Fish and Game are holding their annual Rabies Clinic on Saturday, April 27 from 1:00 to 2:00 PM. I’ll be there selling dog licenses. So come on down. Many of you pay your car registrations online through your bank or send us a check with no paperwork. Some of you write ‘taxes’ in the memo area or nothing at all. Unfortunately this can cause us some confusion. To help eliminate any errors, could you please write ‘registration’ or better yet write your plate number on the check in the memo area so there will be no doubt as to where to apply your money.